10 Reasons You Should Be Listening to Firepower! Hey everyone, something a little different today. 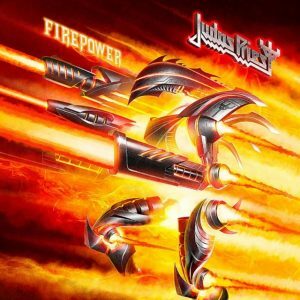 I wanted to review the new Judas Priest album, Firepower, but I’m not very good at doing music reviews. I just don’t have the technical knowledge of how music is made to really talk about it the same way I’d talk about aspects of a movie. So, after a brilliant suggestion from the other half, let’s instead look at ten reasons that you should be listening to Firepower! No spoilers, I guess? Firepower opens like all good metal albums should: with a scream. And not just any scream, but one from the Metal God himself. And as you’re listening to the song, listen to those drums. Can you hear the Painkiller in it? Spectre feels like the spiritual successor of The Ripper. Scratch that, more like a direct descendant. 3. If you want ‘classic’ Priest, this album is chock full of it. Does it matter if a song sounds more of an Angel of Retribution vintage or a Painkiller one, or any one of the band’s 17 other outings besides this one? No, it doesn’t because it all sounds awesome. And while it sounds like ‘classic’ Priest, what it doesn’t sound is dated. Or lazy, like they’re just resting on their name and their history. As the title implies, there’s fire in this album. 4. In the fine tradition of the instrumental intro-ing the next song let’s welcome the newest member of that group: Guardians/Rising From Ruins. You’re in good company. It’s right up there with Battle Hymn/One Shot at Glory (let’s be real, I don’t think we will ever top The Hellion/Electric Eye). 5. Speaking of Rising From Ruins, this is definitely my favorite track. It’s one of those big, heavy, epic songs that I love so much. The kind of song you could pick up a sword and shield and fight to. Sorry, my power metal’s showing there. 6. Sea of Red is an absolutely beautiful song. I have the biggest weakness for Priest ‘ballads’, especially when they turn on the crunch partway through. 7. There isn’t a single ‘bad’ or ‘filler’ song on this album. With the way I listen to music, usually as a background to other things I’m doing, (in fact, I’m listening to it as I write) if there are filler songs or ones that run together, I usually pick up on that pretty quickly. 8. After nearly fifty years as a band, how many groups could still muster as much fire and passion on a new album? Bands much younger have lost that spark and become rote, and others have outright retired. Priest just, at ages ranging from late fifties to seventy (except for Richie Faulkner, at the ‘tender age’ of thirty-eight), just put out an album that’s being compared, and favorably, to one of their best albums that is approaching thirty years old itself. 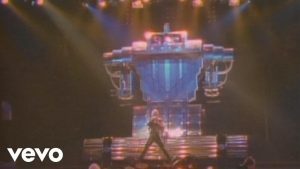 This is in addition to guitarist Glenn Tipton’s recent disclosure of his battle with Parkinson’s disease. 9. Okay, not the music itself, but have you seen that album art? That’s a cover that would look absolutely perfect displayed alongside the iconic Defenders of the Faith, Screaming for Vengeance, Turbo, or Painkiller. It has that exact vibe. 10. And the final reason? It got the stamp of approval from our four-year-old. This is a kid who will give me grief from the backseat (or the other room) if the music in the car/house isn’t heavy enough for her taste, who had already been to two metal concerts in her life, and has mastered the double horns. Oh, and who did we see for the first of those two concerts? Judas Priest, of course. 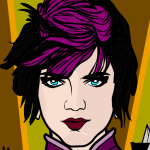 She likes Necromancer, for the record. Although that may be all the Diablo 3 we’ve been playing. Who coincidentally released 'Reaper of Souls' the same year as Priest's 'Redeemer of Souls'. Wanna guess how often I still mix them up? 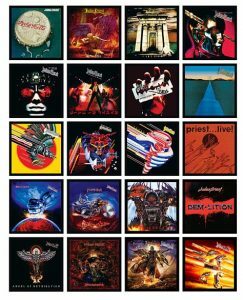 So there you have it, ten reasons to listen to Judas Priest’s new album. What more do you need me to say? Go listen to Firepower! This entry was posted in Things I Like and tagged 2017, anticipated, metal, music, reviews. Bookmark the permalink. One Response to 10 Reasons You Should Be Listening to Firepower!